Description: Let's express your care to the elderly citizens by visiting them in Central district. Volunteer will work in small teams to have home visits to elderly citizens with low mobility or who live alone. This visit is arranged to celebrate CNY via delivering the warmth and the carrot cakes made by volunteers to the elderly. In the morning session, volunteers will prepare the carrot cakes for the afternoon home visits. In the afternoon home visit session, volunteers are expected to look for elderly who may have emotional issues or a symptom of depression, and invite them to join the new project "Happy Everyday" at Ho Kwok Pui-chun Social Centre for the Elderly to prevent from depression. 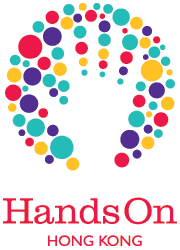 All volunteers who attend this activity must be registered with HandsOn Hong Kong. If you wish to have a friend or family member join you on this activity, they must first register with HandsOn and sign up for the activity.